Appreciated both in the field of percussion and in the music world at large as an international phenomenon and one of the greatest musicians of our time, Zakir Hussain is a classical tabla virtuoso of the highest order. In Masters of Percussion, the Grammy-winning Hussain leads a mesmerizing ensemble of masters in Indian classical music including the astonishing Niladri Kumar on sitar, the peerless Eric Harland on Western drums, and the Kerala Drummers from the southwestern coast of India. 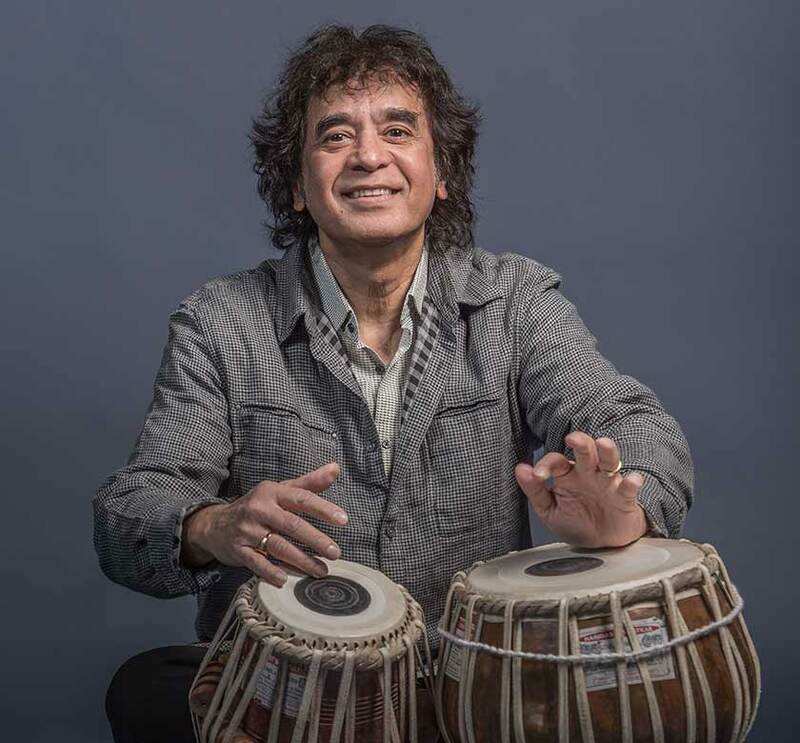 CAPA presents Zakir Hussain and Masters of Percussion at the Southern Theatre (21 E. Main St.) on Wednesday, April 17, at 8 pm. 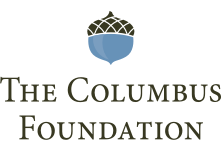 Tickets are $28.50-$48.50 and can be purchased in-person at the CAPA Ticket Center (39 E. State St.), online at www.capa.com, or by phone at (614) 469-0939 or (800) 745-3000. Hussain is the pre-eminent classical tabla virtuoso of our time and is appreciated both in the field of percussion and in the music world at large as an international phenomenon. A national treasure in his native India, he is one of the world’s most esteemed and influential musicians, renowned for his genre-defying collaborations, including Shakti, the Diga Rhythm Band, Planet Drum, Tabla Beat Science, Celtic Connection, Sangam with Charles Lloyd and Eric Harland, in trio with Béla Fleck and Edgar Meyer and, most recently, with Herbie Hancock. The foremost disciple of his father, the legendary Ustad Allarakha, Hussain was a child prodigy who began his professional career at 12, accompanying India’s greatest classical musicians and dancers, and touring internationally with great success by the age of 18. As a composer, he has scored music for numerous feature films and major events and has composed three concertos. The most recent enjoys the distinction of being the first-ever concerto for tabla and orchestra and was premiered in India in September 2015, in Europe and the UK in 2016, and in the United States in April 2017, by the National Symphony Orchestra at the Kennedy Center. Masters of Percussion grew from Hussain’s duet tours with his late father, the legendary Ustad Allarakha, and began biennial appearances in1996 to provide a platform for rarely heard rhythm traditions from India. Over time, the ensemble expanded to include great drummers and percussionists from many world traditions, including jazz, as well as the occasional stringed instrument. 2019 will be the centennial year of Allarakha’s birth, so this will be a very special MOP tour. Blessed with a lineage of five generations of sitar players, Kumar is a world renowned and global icon to reckon with. Under the guidance and numerous years of training from his father and guru Pandit Kartick Kumar, Kumar went on to revolutionize sitar playing and further invent his own Instrument, the red electric sitar, which he coined as the Zitar. He is hailed as one of the serious exponents of Indian music and has an uncanny, prodigious style in making this music appealing to the youth and the masses at large. Critics state that he has an unmatchable, effortless mastery over the instrument, and it is indeed a unique treat to witness his swift, agile, and magical fingers produce soul-stirring, brilliant compositions. He has inspired many to learn the sitar, and through his illustrious career, has emerged as a one-of-a-kind cause for national pride. He has released more than 10 albums and been bestowed and recognized with several prestigious awards and valued titles. In addition, Kumar has contributed immensely to the Indian film industry. His live performances are known to transpose audiences to another world. Harland is the most “in-demand” drummer of his generation primarily, but not exclusively, in the world of jazz. He has worked on more than 400 recordings and film scores and shared the stage with masters on the order of Betty Carter, Joe Henderson, McCoy Tyner, Michael Brecker, Terence Blanchard, Branford and Wynton Marsalis, Wayne Shorter, Savion Glover, and the SF Jazz Collective. He’s also played with virtually all the current rising stars, including Esperanza Spalding, Jane Monheit, Taylor Eigsti, Julian Lage, Stacie Orrico, and Robert Glasper. Harland currently works in multiple groups, including James Farm with Joshua Redman, Prism with Dave Holland and Kevin Eubanks, Sangam with Charles Lloyd and Zakir Hussain, Overtone with Dave Holland, Jason Moran, and Chris Potter, and his own Voyager. Outside jazz, he’s also collaborated with Les Claypool’s Primus, John Mayer, Mariah Carey, Steve Miller, and Spike Lee. Harland was resident artistic director at the SF Jazz Center for the 2014-16 seasons and the artist in residence at the 2014 Monterey Jazz Festival. After his extensive travels, he has come to realize that “The deepest secret is that life is not a process of discovery, but a process of creation.” That depth of understanding makes him a perfect member of Masters of Percussion. In the Indian tradition, Marar’s first teacher was his father, and from an early age he began his studies of Thayambaka, a call-and-response style of drumming using the South Indian chenda, a cylindrical instrument. This art is often associated with the story-play style of Kathakali, a classical South Indian dance form. Eventually, Marar was assigned the role of “Mela Pramani,” and performed it in Temple Festivals across southern India. In duet form, he has played with such greats as Ustad Allarakha and Padmashree Umayalpuaram Sivaraman. He was awarded the Padmasree by the President of India in 2009. The group includes Marar’s sons, V. M. Sreekanth and V. M. Sreeraj, and their fellow Keralan Vellinezhi Anand. All three have progressed through lifelong training in Thayambaka and temple rituals, and have played with outstanding Indian artists including the legendary vocalist Hariharan, both in India and all over the world, from Europe to Hong Kong and most stops in between.